Book your CBT with A-Z Rider Training today. We offer the best value CBT course around. Serious about passing your test? success rate is second to none. Why not check us out? your clothes off. Who are we to disagree? and get on a lifetime of thrills. hundreds more over the past 20 years. Training and take a massive leap forward. Kent. 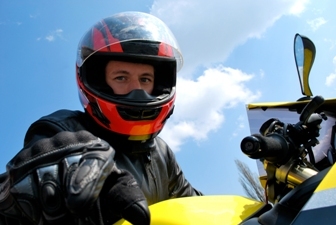 Our instructors are not just teachers they are motorcycle enthusiasts. more than to impart some of their knowledge to you. Established in 1990 A-Z Rider Training is the oldest established motorcycle riding school in Kent’s Medway region. We conduct regular CBT training from our main centre in Gillingham in the heart of Kent. If you would like to find out more about CBT training lessons or you are considering CBT training lessons with A-Z Rider Training then please click on CBT Motorcycle Training Medway or on the link below to get more information and news of any special offers. Two top instructors thanks very much passed first time very very happy would recommend. Paul you are a star. Thanks see you on the road. Phone Steve for FUN, 7 days a week between 7 am and 9 pm. © Copyright 2013 by CBT Medway.